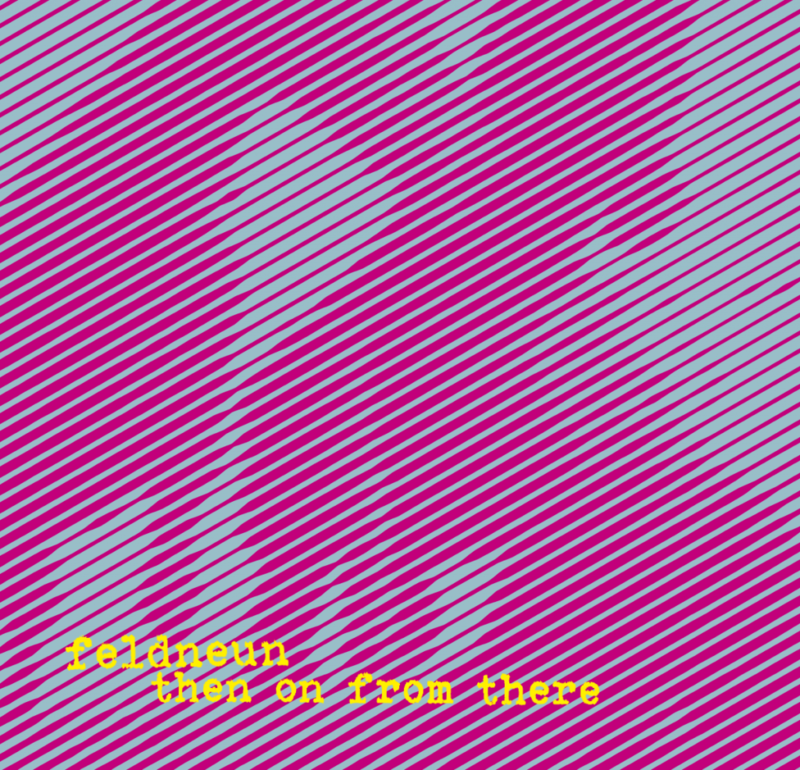 On their new album “then on from there”, Uwe Haas and feldneun have moved from abstract, neue musik electro-acoustic compositions to a more rhythmical concept, resulting in almost songlike atmospheres over which Uwe Haas sings. Electronic and acoustic-organic orchestrations are equally balanced, forming a subtle, finely tuned and highly intricate continuum of sound, like a filigree length of cloth. break up the song structures. Instrumental whispering is applied in an act of creative intimacy over which Haas layers his vocals. The foreground is tranquil, crystalline, and behind it creaks, scrapes, clangs, crackles, squeaks, bangs, rustles, hisses, whispers and murmurs can be heard. The grooves are elegant in their precision, slender and delicate and almost subliminal – hidden and hinted at, as if through a fog. The dub from the dancefloor can be felt as a reverberation from either far away, or long ago. Dissonances and tensions are embedded deep into the seemingly peaceful progressions, without ever reaching resolution. Rhythmically as well as atmospherically – in parallel or even simultaneously one hears a certain eroticism, occasionally reminiscent of soul, alongside childlike innocence. Resignation and hope. Passages of apparent improvisation; the childish immediacy of one-fingered piano playing, complimented by the most meticulously sophisticated crafting of structure and tone. The precise placement of sound – silence/abundance – the void and the search for it. To listen to every individual ‘note’, to make each element heard when it needs to be present. With feldneun, Uwe Haas has taken the craft of sound reduction to a masterly artform. After exploring imaginary places on the previous album, the journey continues with the search for the private spaces of one’s own story. The personal element of voice and song became an inevitable addition. The voice is like an ‘inner reflection’, the flow of feelings, fantasies, wishes, desires; directed inward, searching, subtle to forceful, secretive. The voice is simultaneously up close, directly present and then at once received from far off, like the light of a distant star that has made its long way across time and space. Sometimes clear, sometimes flickering, clouded, in sidereal time. ‘Music of the Spheres’ from the depths of the universe, from ‘another sky’. Searching for places, excavations of old sites, discovering spaces, remembering repressed memories, a fading memory of soul and childhood. Starting the search at one point and following ‘the road’ as one song is titled, to find another place, with surprising revelations along the path. Searching, too, for a musical place, one that is not yet occupied by images, categories, associations… to stumble … and to push yourself along, nothing is predetermined, pre-prepared or predictable. Discovering the unknown, and finding where one can still feel at home while surrounded by unfamiliarity. These songs create atmospheres, and try to coax sound out of that which cannot be heard.